South Africa’s leading milk producer, Clover Industries, has received a generous buyout offer from MilCo SA, a consortium that is part-owned by an Israeli firm. The South African wing of the Palestinian pressure group Boycott, Divest, Sanctions has promised militant protests and ‘direct action’. We should not let activists bully us into economic decisions that harm South Africa. 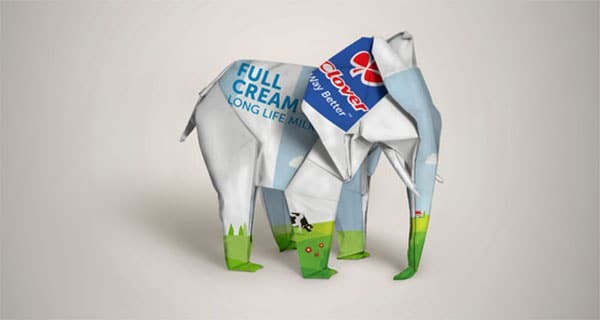 On Monday 4 February 2019, Clover Industries issued a circular to its shareholders announcing that a company registered in South Africa, MilCo, had offered R4.8-billion to buy all the shares in Clover and delist it from the JSE Stock Exchange. The offer price, at R25 a share, amounts to a 25% premium over the share price of exactly R20 at the closing bell on the previous Friday, and a 77% premium over the share price of R14.10 immediately prior to the first cautionary announcement on 19 October 2018. The rationale for the acquisition is to introduce an experienced new shareholder that could grow the Clover business in South Africa, which has 8,500 employees, but had been going through some tough times recently. In addition, it would enable export growth into the African market. The deal falls squarely in line with the government’s stated ambition to attract foreign direct investment and to grow South Africa’s export markets. Despite this splendid offer, not everyone is over the moon with it. After the acquisition, some 78.7% of the shares in MilCo SA would be owned by MilCo International, which in turn is 59.5% owned by Israeli Beer Breweries Limited (IBBL), a wholly owned subsidiary of the privately owned Central Bottling Company (CBC). This amounts to a 46.8% Israeli interest in MilCo SA. Other shareholders in MilCo International are IncuBev, an international business focused on the food and beverage sectors in sub-Saharan Africa, and Ploughshare, a privately owned, independent investment company with investments and expertise in retail, distribution and beverages. The remaining shareholders in MilCo SA are Brimstone, a JSE-listed black-controlled and managed investment company and Clover management that reinvested in the business. Boycott, Divest, Sanctions (BDS), a pro-Palestinian, anti-Israeli pressure group, objected to the Israeli shareholding. Suggesting that they did not actually read the circular or understand it, BDS claims that 59.5% of the company would be owned and controlled by CBC, when in fact this shareholding is indirect and amounts to less than half of the company’s shares. It has threatened to “actively initiate, support and or join the call for direct action and a militant but peaceful campaign, including protests and disruptions, against Clover and a boycott of all its products”. Having been approached by BDS South Africa, Brimstone, the BEE partner in the transaction, said that in light of the “widespread outrage” it would review the deal. The Food and Allied Workers’ Union has also called on Brimstone to withdraw from the arrangement. In the pages of Daily Maverick, ANC Youth League NEC member Rhulani Thembi Siweya made a good case for why we ought to dismiss the boycott call of BDS. “A lobby group like BDS-SA ignores the South African reality and undermines the country’s national interest to create an inclusive economy for all, especially for the poor masses of our country,” she wrote. South Africa has at times had a difficult relationship with Israel. Officially a supporter of the two-state solution to the ongoing conflict between Israel and Palestine, it recently went to so far as severing diplomatic ties in protest against perceived heavy-handedness by Israel in its defence against Palestinian aggression and border incursions. Reacting to the popular narrative that Israel indiscriminately mowed down peaceful and unarmed Palestinian protesters, South Africa recalled its ambassador to Jerusalem on 14 May 2018. This followed earlier promises that South Africa would cut diplomatic ties with Israel. At the time, I wrote a column in support of radio personality Gareth Cliff’s contention that the popular media narrative was far from true, and that in fact, Israel was justifiably defending its borders from incursion and its citizens from violence. South Africa quietly reinstated its ambassador once the storm blew over, signalling that it didn’t want to cut ties with Israel after all. In this, it rejoins most of the rest of the world. Fully 163 out of 193 UN member states recognise Israel and enjoy trade ties with that country. In Africa, only Somalia, Sudan, Lybia, Algeria, Morocco, Mauritania, Mali and Niger refuse to recognise Israel. Unlike these countries, which are motivated by the Arab world’s historical hostility to the idea of a homeland for long-persecuted Jews, South Africa does not — and should not — officially boycott, divest from or impose sanctions against Israel. Neither does the international community. EDINBURGH — Anti-Israel factions in South Africa have been trying to put the kibosh on a deal by Clover Industries that could lead to thousands of new jobs across the continent. Among those who have indicated that they do not approve of a Tel Aviv-based consortium getting involved in the South Africa based company is shareholder Brimstone, which prides itself in being black controlled and managed. Brimstone says it has a “value driven corporate identity”, but it doesn’t clearly stipulate what these values are. It says it has taken note of widespread outrage about the deal and is rethinking its position. Clover CEO Johann Vorster, meanwhile, is confident the investment will enable Clover to make a positive impact on the SA economy and says management will also buy in alongside the new investors. He’s not backing down – and that’s good news when you consider that South Africa’s unemployment rate is one of the highest in the world and that poverty is a challenge across the African continent…..